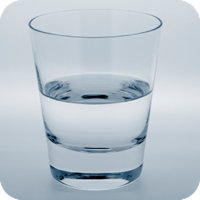 Is this glass of water half empty or half full? Wellness psychology would definitely indicate the latter. Wellness psychology is the study of mental and emotional wellness - in other words, the way to create conditions of thinking and feeling that are consistent with healthy living. Wellness psychology is a way of responding to the challenges of life with positive expectancy and self-esteem, based on the awareness that our natural state is harmony and inner peace, if we can reduce or eliminate whatever is interfering with that state.Wellness psychology is based more on lifestyle decisions than the treatment of a professional. Learning to interpret the events of your life with positive realism gives you a perspective from which you can assign uplifting meanings to those events. Tony Robbins says, "Nothing has any meaning but the meaning you give it," and putting a positive spin on things sets an internal environment that is more likely to encourage overall wellness. But there's more to wellness psychology than just positive thinking. Rather than waiting around for mental and emotional symptoms, you can be proactive and develop habits that make you mentally and emotionally healthier on an ongoing basis.